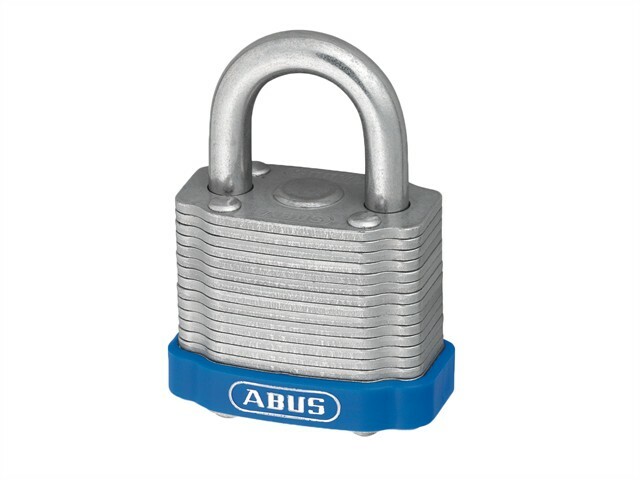 The ABUS ETERNA 41 Series Padlocks are made from individual, laminated steel sections. Each steel plate has been individually coated in the ETERNA treatment process, which offers 13 times more corrosion protection than normal zinc plating for up to 40 years weather protection. Fitted with a precision pin tumbler cylinder with anti-pick mushroom pins. Self-locking, lock without a key by pushing down the shackle. Hardened steel shackle on 30mm, hardened steel alloy shackle on 40mm and above. Ideal for securing valuables/goods of medium value or at an average risk of theft.